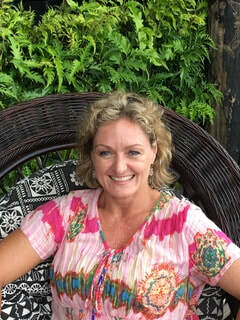 Sarah Korzeba is a Physiotherapist, Yoga teacher, and owner operator of Akasha Physio & Yoga (akasha Physio & Yoga – Home) on the Sunshine Coast in Queensland, Australia. Her business design is a space where physiotherapy meets specially formulated rehabilitation through yoga and fitness. At heart Sarah is an educator with a passion towards holistic health. This amazing career has taken her on a journey from postgraduate studies and researcher, university tutor and hospital clinics, to supporting disaster affected regions overseas through her self funded humanitarian aid program called 'Shaken Communities'. Her professional focus is to assist those seeking guidance towards thriving on all levels of health and wellbeing (including nutrition, lifestyle, and attitude to life) by way of role modelling, educating, counselling, empowering, facilitating and inspiring change into one’s fullest potential, and flow.